Anteriormente conhecido com o seu projecto Walter Benjamim, tendo chegado a representar Portugal na lista de Abril de 2012 da Music Alliance Pact, com destaque no The Guardian, volta agora só como Benjamim e em português. Tarrafal é o single do seu novo álbum, Auto-Rádio, que foi dar uma volta ao mundo através desta lista internacional. Além do tema de Benjamim, temos mais 17 temas e bandas, de 17 países, nesta edição do Music Alliance Pact. Clique com o botão direito do rato, por cima do título da canção, para fazer o download do mp3 ou faça um download do ficheiro completo, com os dezoito temas, através do Dropbox AQUI. ARGENTINA: Zonaindie Fabiana Cantilo y Fer Isella - Viernes 3 AM In 2009 the Argentine goverment published several declassified official documents produced during the dictatorships that ruled the country from 1962-1982. One of these documents is titled "Songs whose lyrics are considered not fit to be played by broadcast services" and it includes compositions by all kinds of Argentine and foreign artists. Canciones Prohibidas is a compilation with 16 versions of these censured songs. For MAP we selected Viernes 3 AM, originally by Argentine rock living legend Charly Garcia, here recorded by (also legendary singer) Fabiana Cantilo on vocals and producer Fer Isella on piano. AUSTRALIA: Who The Bloody Hell Are They? Fresh Kills - The People At The Drive-In is the first association any rock connoisseur will make with this 90-second post-punk melodrama. It's all energy and emotion without the slightest hint of pretension. The song is chaotic and at times confusing without a single comprehensible lyric (go on, try to figure out what the hell they're saying) but that's exactly the charm of this south Australian band. BRAZIL: Meio Desligado Rodrigo Campos - Katsumi Rodrigo Campos, a prolific name in São Paulo's contemporary music scene, has just released his third solo album, Conversas Com Toshiro, which is influenced by Japanese culture. Katsumi is a good opening gate to his work. CANADA: Ride The Tempo Harrison - Sorry Toronto producer Harrison beeps and blips his way into a sweet apology with his latest track, Sorry. CHILE: Super 45 Breaking Forms - Folie A Deux Breaking Forms is a duo formed by Nicole L'Huillier and Juan Necochea. Although they currently live in the United States, their journey began in Chile under the wings of two emblematic bands, Cóndor Jet and Picnic Kibun. While in the first one, L'Huillier developed a penchant for psychedelia and post-rock; in Picnic Kibun, Necochea explored the multiple facets of dance music. Breaking Forms is, in its own way, the meeting point for both genres. Proof of this is their first single Folie A Deux, a power-pop song spiced up by electronic sequences and noisy synths. COLOMBIA: El Parlante Amarillo Electric Sasquatch - Hunting Season The legend of Bigfoot, or Sasquatch, acts as inspiration for this stoner rock band from Cali. They feed on forest myths, adding elements of theater and visuals to their presentations. From their brilliant self-titled album, whose CD version comes in a beautiful wooden box, we present Hunting Season, in which the Sasquatchs show us a more violent and dehumanized side. DENMARK: All Scandinavian Slaughter Beach - ClearInsight Slaughter Beach are very much a Scandinavian proposition. Hailing from Denmark, they played their debut concert in Gothenburg, Sweden and are signed to Norwegian label Brilliance. MAP exclusive download ClearInsight is taken from their debut EP, Love/Venice, released this month. ECUADOR: Plan Arteria Radio Invasor - Magnolia Radio Invasor is an electronic project blending digital sounds with organic elements of rock, funk, dub and hip hop. From their first EP, released this September, we present Magnolia. It's an epic, experimental track that offers a taste of Radio Invasor's potential. INDONESIA: Deathrockstar Littlelute - Berlibur Ke Poznan Littlelute is an indie-pop outfit from Bandung. Their ukulele player recently visited Poznan and the beauty of the Polish city inspired him to write this cute pop composition (see video). IRELAND: Hendicott Writing Owensie - Dramamine After more than three years tucked away from the eyes of the Irish music scene, dream-pop artist Owensie returns with Dramamine, a trippy ode to a motion sickness drug. The track features Conor O'Brien of Villagers and comes ahead of a third album of the same title that's seemed an extremely long time in the making. One for watching the world drift by outside your window. ITALY: Polaroid Port-Royal - Death Of A Manifesto Port-Royal is a trio from Genova that fuses elements of ambient techno, shoegaze, melodic IDM and post-rock into a dreamy, evocative sound. Active since 2001, they have toured Europe and the United States, and released several records, compilations and remixes. Where Are You Now is their fourth proper album, out on Oakland-based label n5MD. Port-Royal are expanding their palette, and the gorgeous Death Of A Manifesto is one of their more pop-oriented compositions. JAPAN: Make Believe Melodies Boogie Idol - Seiteki Na Mimi The recently released Schau Essen 2 compilation features many talented artists who pull from the glitzy sounds of 1980s Japan, when the economy was roaring and decadence dominated. Producer Boogie Idol offers up one of the best contributions to that set, a shimmering number full of bright synths, sticky bass lines and a slightly uncomfortable growling noise lurking beneath it all. MALTA: Stagedive Malta Juno And The Wolf - Dambrose Born out of the merging of different projects in late 2011, Juno And The Wolf is the culmination of the myriad of influences that inspire its four members - James Azzopardi, Kristian Schembri, Samwel Mallia and Corey Farrugia. The band have developed an experimental ethos, an aim to create a duality with emotion and sound, flowing from heavy, raw numbers to quieter, more introspective ones rather than simply settling for one set genre. Their debut home-recorded self-titled EP was released in September 2014. MEXICO: RBMA Radio Panamérika El Muertho TJ - Malandro El Muertho - a street musician playing romantic delusions with only a Yamaha keyboard, wearing black robes and Kiss wannabe make-up - has emerged from the Tijuana slums to raise a few eyebrows among critics and audiences. But, hey, the best works come from outsiders: Syd Barrett, Daniel Johnston, Tom Waits... add in a little bit of Suicide industrial tremolo and you'll get the perfect treat for Halloween or the Mexican Day of the Dead. PERU: SoTB Nave Ascensor - Ciudad Reacción Ciudad Reacción is the first single from Nave Ascensor's debut album, Hartistas. The Lima trio come with a strong proposal - listen as they rail against the system through rock songs loaded with critical social and visual exercises to help you free your mind. PORTUGAL: Posso Ouvir Um Disco? Benjamim - Tarrafal Benjamim is an artist formerly known as Walter Benjamin, who had a song on the Music Alliance Pact's April 2012 edition. Tarrafal is a single from his new album, Auto-Rádio, which has won over the Portuguese public and critics. 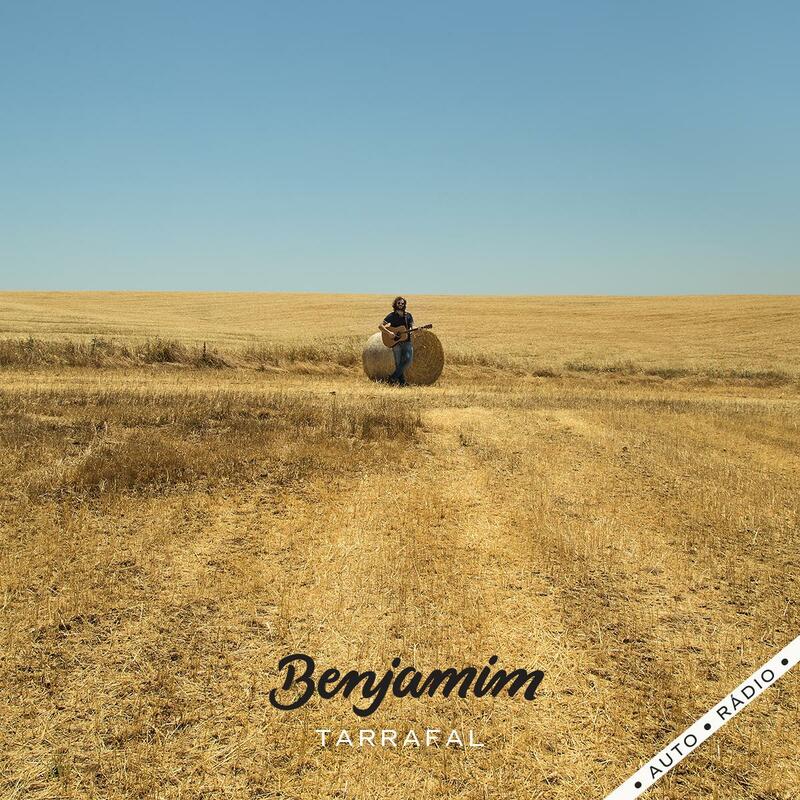 In contrast to his previous guise, Benjamim opts for Portuguese lyrics instead of English. The music continues to be sophisticated pop that will get your feet tapping. Belle & Sebastian fans will love him. SCOTLAND: The Pop Cop JR Green - Nigerian Princess With a modern spin on traditional folk music (accordion and mandolin feature heavily) and a healthy dose of lyrical intrigue, JR Green sound like the happy marriage of Frightened Rabbit and King Creosote. Made up of young brothers Jacob and Rory Green, their debut EP, Bring The Witch Doctor, is being released by Hits The Fan Records - the same label that released Frightened Rabbit's first album. Sign up to JR Green's mailing list for updates and freebies. SOUTH KOREA: Indieful ROK Silica Gel - Hrm Silica Gel is most definitely a band to look out for. They describe their music as neo-psychedelic, experimental, progressive, dream and shoegaze - and they manage to deliver on all counts. A great track to dream away to, Hrm starts out plainly with just a simple guitar loop and some toned-down drums, gradually adds more and more to the mix, before unleashing total bliss a few minutes in.